The ESCUELA CANTABRA DE SURF QUIKSILVER & ROXY is one of the best surf school in Europe. The 1st surf school in Europe, with over 24 years of experienced. One of the best known and best loved surf schools in Europe. Run by surfers, that love surfing. DIRECTOR- David García “CAPI” former Spanish champion and free surfer, has been competing and travelling around the world for over 30 years. For the last 24 years, has been focused on teaching surfing and now he wants to share his knowledge and love with the ocean with you, and teach everyone the magic of surfing experience. SUPERCREW- Fully qualified & experienced surf instructors. LEARN WITH THE BEST. EQUIPMENT- ALL INCLUSIVE. Top quality surfing equipment provided. SURFBOARD RENTALS & SALE. WHAT TO BRING- Yourself. Good energy, a keen attitude, swimsuit & towel. WHERE- Playa de Some (CANTABRIA). Located in one of the surf magnets in the north coast of Spain, getting good waves all year around. Amazing surfing holidays. LESSONS AVAILABLE IN ITALIAN, ENGLISH, FRENCH…..
SURF SCHOOL, SURF CAMP, SURF HOUSE & SURF SHOP. 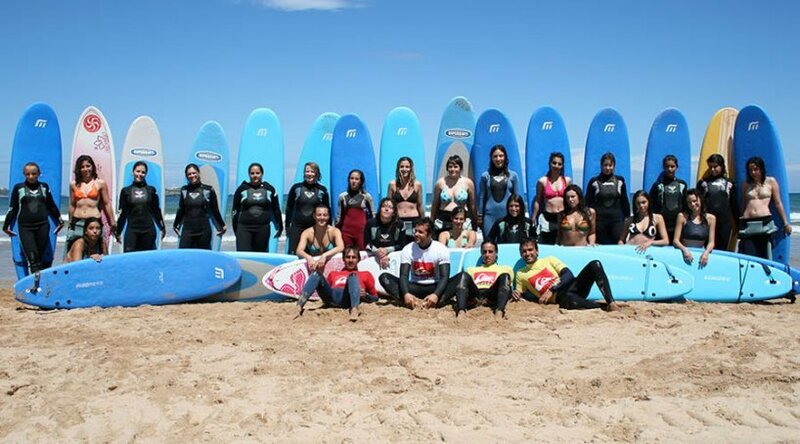 SPAIN´S Nº 1 SURF SCHOOL. ROOTS SINCE 1991. ALL AGES & LEVELS (BEGINNERS/ INTERMEDIATES & COMPETITION). EXPERIENCED & PROFESSIONALISM. QUALIFIED SURF INSTRUCTORS. FAMILY OWNED & OPERATED. REAL SURFING FROM DAY 1. MORE THAN 24 YEARS OF EXPERIENCED. THE MOST EXPERIENCED SURF SCHOOL & INSTRUCTORS.